The American Academy of Pediatrics (AAP) and a World Health Organization (WHO) committee agreed that thimerosal, a vaccine preservative that contains mercury, should not be banned by the United Nations, even though it has been frowned upon in the United States. Rewind to 1999, however, and you would find the AAP asking for thimerosal’s removal from vaccines in the United States, due to the danger of youths being injected with too much mercury. And there was less evidence then as there is now that these vaccines could contribute to the development of autism and other neurodevelopmental problems. 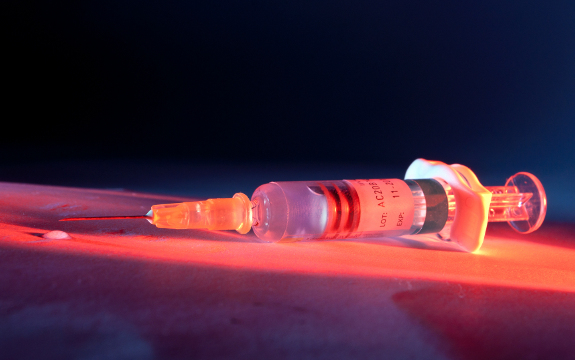 In a curious turn of events, however, the AAP agreed this month with the WHO commission when it advocated the use of thimerosal in vaccines to treat children around the world. “It was absolutely a matter of precaution because of the absence of more information,” says Columbia University’s Dr. Louis Cooper, then AAP board of directors. A 2004 safety review by the US Institute of Medicine would come to the same conclusion, as does a 2010 assessment by the Centers for Disease Control and Prevention (CDC). 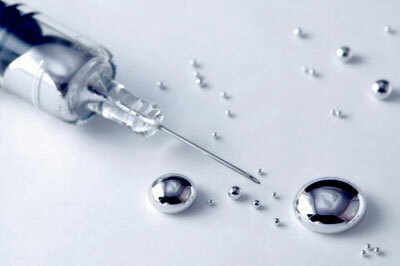 Thimerosal, however, is approximately 50 percent mercury. For every child and every dose, 62.5 ug of mercury comes with a vaccination against hepatitis B or MMR. According to the Federal Environmental Protection Guidelines, that’s 100 times the “safe” dose. Vaccines also have a spotted history and questionable efficacy. An increasing number of people are shunning the injections despite pressure from their places of employment. According to findings by Dr. Danuta Skowronski of the British Columbia Centre for Disease Control, the flu shot actually worsens H1N1 symptoms. Bichel, Post-vaccinial Lymphadenitis Developing into Hodgkin’s Disease, Acta Med Scand, 1976, Vol 199, p523-525. Glathe, H et al, Evidence of Tumorigenic Activity of Candidate Cell Substrate in Vaccine Production by the Use of Anti-Lymphocyte Serum�, Development Biol Std, 1977, 34:145-148. These are, admittedly, older studies. While many have been conducted since, a highly profitable industry has also been built around vaccines, rendering many studies heavily biased and unreliable. What’s more, thimerosal isn’t the only harmful additive. Formaldehyde, a known human carcinogen, is another “preservative” found in vaccines. If we are to take AAP and the WHO committee’s endorsements at face value, their intentions seem good. Children in impoverished regions of the world are sickened with avoidable diseases, and they argue that vaccines might prevent the illness. Because researchers suggest that it would cost up to five times as much for developing areas to produce vaccines without thimerosal as it would developed areas, shipping mercury-laden vaccines to developing areas seems like a humanitarian effort. The effectiveness - never mind the side effects - of vaccines remain hotly debated. Instead of making money off of vaccines, the WHO and UN might think on the physical and fiscal benefits people in impoverished areas might meet with a healthy diet of locally grown organic produce (instead of, say, GMOs courtesy of Bill Gates). Besides, the producers of vaccines like GlaxoSmithKline over at Big Pharma are not our friends, as evidenced in what qualifies as nothing short of the murder of 14 infants in experimental trials of their products. Everyone should agree, for one reason or another, that more research deserves to be conducted by independent bodies on not only vaccinations and alternative additives, but also in disease prevention on a daily scale, such as through a healthy diet and sanitation efforts. If not, at the end of the day, we know who comes out the loser in this misguided crusade, and who gets to take home the bags of money. Thimerosal is ethyl mercury that has dramatic toxic effects against the health of the human body. The UN Environmental Program (UNEP) has listed mercury as a global health hazard. The UNEP would like to see a treaty that protects against Thimerosal be created. The Coalition for Mercury-Free Drugs have provided the UNEP with researched evidence that outlines without dispute that Thimerosal is dangerous to the human body from exposure in vaccines and dental fillings that contain mercury-based silver amalgam. With this research, the UNEP has a plan to phase out Thimerosal because of its attachment to neurological disorders, autism and other health disorders. Propaganda studies have suggested that children of mothers who had two or more instances of flu had a doubled-risk of being diagnosed with autism prior to the age of 3; as well as simply having a fever. Also attributed to the development of autism in children were the uses of a pharmaceutical grade anti-biotic during pregnancy. The results entitled “Influence of pediatric vaccines on amydgala growth and opioid ligand binding in rhesus macaque infants: A pilot study” were published in Acta Neurobiological Experiments in 2010. This vaccine has the mercury based preservative Thimerosal.